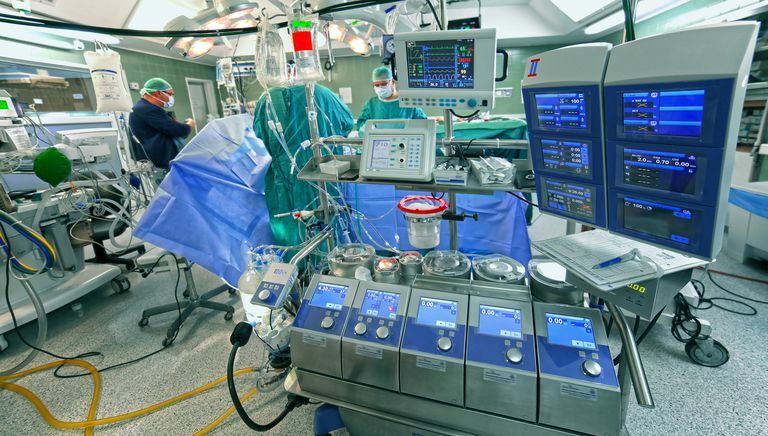 There are multiple types of bypass surgeries. This is a generic term used to describe a surgery that reroutes a part of the body to bypass a different area of the body. These surgeries are usually vascular in nature, meaning a blood vessel needs to be rerouted for the health of the patient. For example, if you have a blood clot in your leg, also known as a deep vein thrombosis or DVT, a surgeon might reroute your blood vessels around the clot so that blood can continue to flow down your leg. In this example, the surgeon is bypassing a clotted blood vessel that is preventing blood from flowing effectively to the tissues that are "downstream" from the clot, such as the foot. Not all bypass surgeries focus on the blood vessels, you are right that there are weight loss surgeries that are commonly referred to as "bypass" procedures. They are very different from other types of bypass surgeries that are performed to improve blood flow. Bypass surgery is also a common term used to describe a type of heart surgery. In this case, the surgery is formally known as Coronary Artery Bypass Graft surgery. This surgery is performed to “bypass” blocked arteries that feed the heart, allowing the heart to receive the blood it needs to function. You may also hear this procedure referred to as a CABG, pronounced cabbage. This type of heart bypass is also known by the number of bypasses performed. A "double bypass" involves two arteries, a "triple bypass" is for three arteries, quadruple for four and quintuple for five. More bypasses mean that more arteries are blocked and cannot feed the heart as intended. Some types of weight loss surgery are also referred to as bypass surgeries. Weight loss surgeries that decrease the amount of calories that body can absorb by “bypassing” part of the small intestine fall into this category. Roux-en-y is an example of this type of weight loss surgery, as is the duodenal switch procedure. The idea is that the surgeon makes the intestine skip over a section of the intestine that absorbs calories, making it impossible for the patient to absorb all of the calories that they take in.